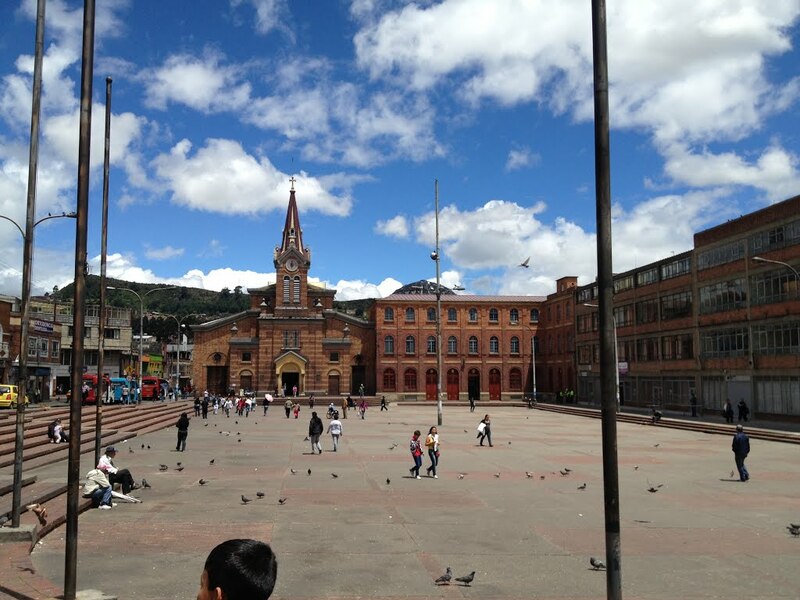 Bogota may be almost 480 years, most of its initial churches were destroyed over time. A few special centers of prayer and reflection have survived the test of time. The San Alfonso church was built at the end of one of the most destructive decades in Colombia’s history, “La Violencia,” during which political violence laid most of the city’s older churches in ashes. San Alfonso was one of the first churches to be erected in efforts to rebuild the capital after the 1948 “Bogotazo,” arguably the most explosive eruption of violence Bogota has ever seen. The result was one of the most stunningly decorated churches in the capital, if not the country. 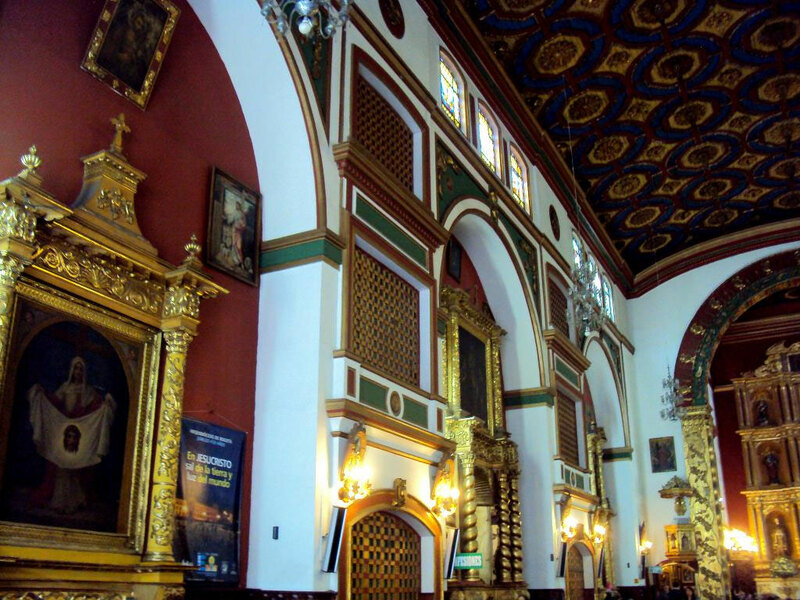 The Divino Niño church is the most recent of only four churches that survived El Bogotazo and the subsequent decade of violence that hit Colombia. Located in the 20 de Julio neighborhood, locals often call the church after its location. 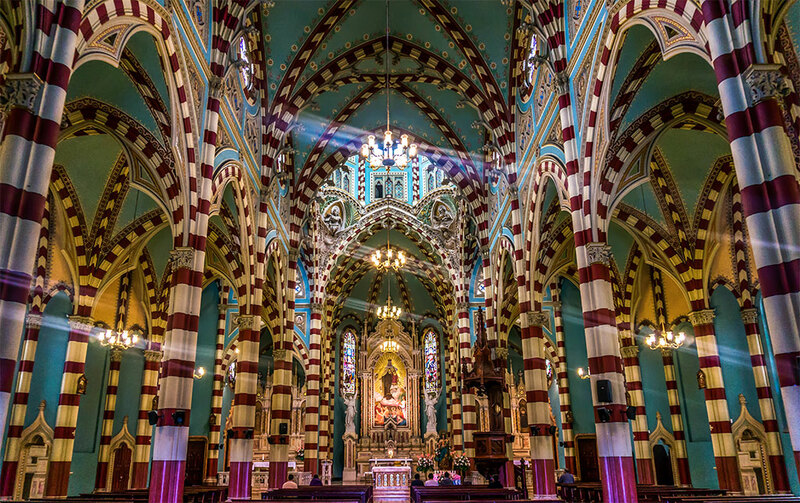 The Our Lady of Mount Carmel Church is one of Colombia’s most stunningly beautiful churches, designed by Italian architect Giovanni Buscaglione and opened in 1927. The building was declared a national monument in 1993, mainly because of its extraordinary interior design that combines Gothic elements with Byzantine and Arab influences. 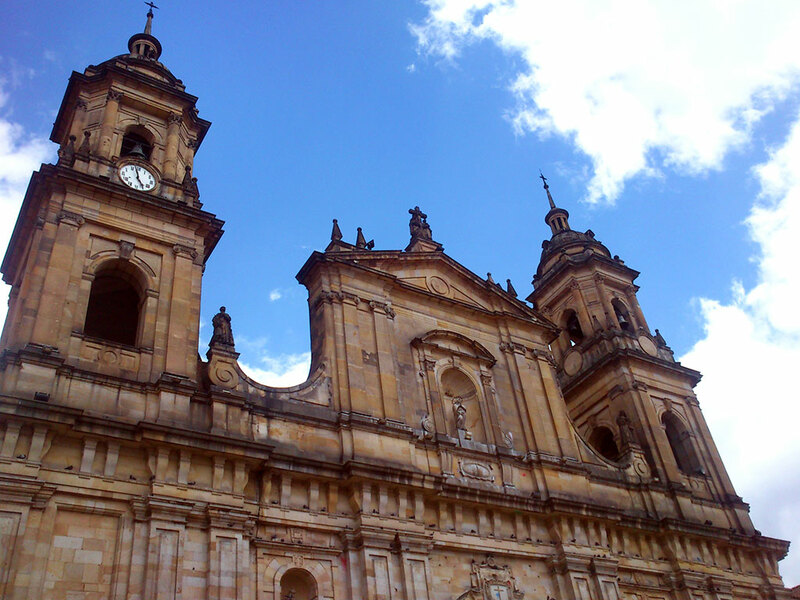 Bogota’s main house of prayer is the Primatial Cathedral, the second oldest church in Colombia’s capital. 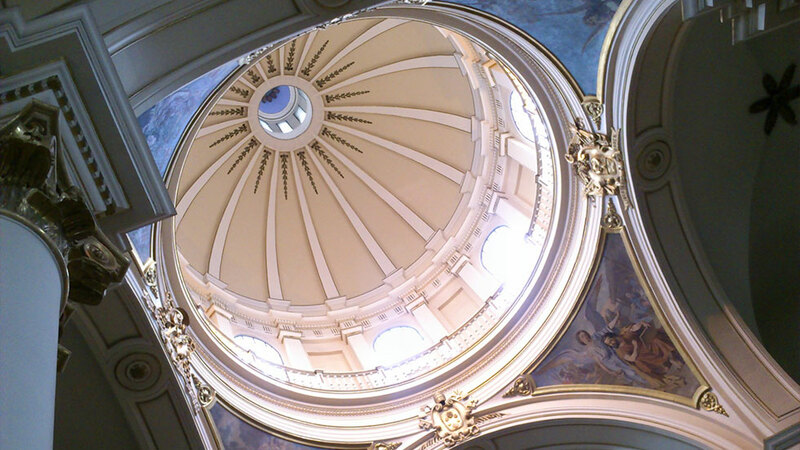 Apart from being one of the most-visited churches in Bogota because of its central location on the Simon Bolivar Square, it is also the home of the Catholic Church organization in Colombia. The cathedral is one of the largest in South America and the final resting place of the founder of Bogota, Gonzalo Jimenez de Quesada. 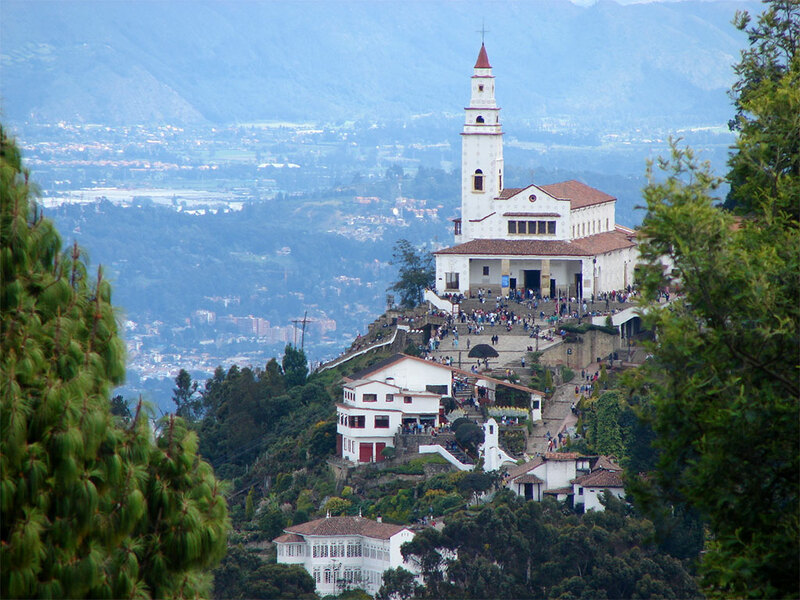 The Monserrate church, located high up the eastern hills of Bogota is the oldest remaining church in Colombia’s capital, a major pilgrimage site and one of the city’s top tourist attractions. The church was built on top of a sacred site of the native Muisca tribe in one of the Catholic Church’s attempts to convert the indigenous peoples of Colombia to Catholicism.